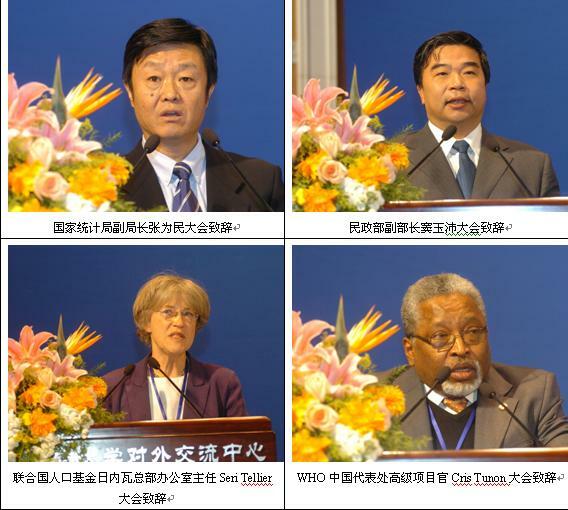 On 10-12 December 2007, more than three hundred scholars and disability workers from China and other countries gathered at the side of Weiming Lake in Peking University, Beijing, China for the International Forum on Disability and Development. 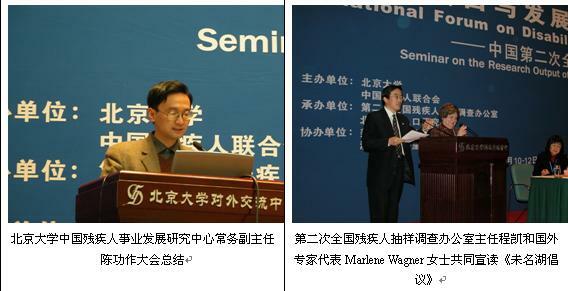 The Forum learned the research outputs of the Second China National Sample Survey on Disability and highly praised the survey success. It appreciated greatly the efforts made by all Governments on the disability work. The Forum gained new insights about the characteristics of people with disabilities and their contribution to social development, learned new experiences on how to solve disability problems and new methods of prevention, control and rehabilitation, and exchanged new concepts and methods of guarding and maintaining the lawful rights and privileges of people with disabilities. These are important achievements for the future of disabilities at the beginning of the 21st century. It is a great new beginning. One year ago, on the 13th of December 2006, the United Nations General Assembly adopted the Convention on the Rights of Persons with Disabilities, recognizing the importance of respect for differences and acceptance of persons with disabilities as part of human diversity and humanity. Persons with disabilities have their own personal dignity, their individual autonomy and independence and they should have equal opportunity to participate and be included fully and effectively in society. The Forum notes that the Convention has raised strong voices in promoting the general understanding of all people on disability, in changing the attitude of the society toward people with disabilities and in improving their daily life. The making and adoption of the Convention clearly shows a general recognition of the international community and governments on the awareness and understanding of people with disabilities and demonstrates once again that the world civilization and the progress of human society have made another giant step. The Forum supports the idea that disability is an evolving concept. Disability is not just the consequences of diseases but results from the interaction between persons with impairments and attitudinal and environmental barriers that hinders their participation in society on an equal basis with others. Therefore, one must emphasize the importance of mainstreaming disability issues as an integral part of relevant strategies of sustainable development. The Forum also clearly recognizes that because of their diversity people with disabilities are different in different areas and countries. However, the executive departments and decision making organs have been troubled by not knowing enough and by the lack of relevant data about people with disabilities and therefore can not carry out their work adequately. Continuing research, studies and surveys on disability, and calling upon different academic and research institutions, disability administration, and social work organizations to take on further disability studies and services. This will help to raise the understanding and awareness in the society, including at the family level, regarding persons with disabilities and to engage policy makers in developing interdisciplinary, sustainable policy alternatives. This work must be lead by Government agencies with financial supports, cooperation from other relevant Departments and non-governmental organizations, and participation by professional organizations and specialists. 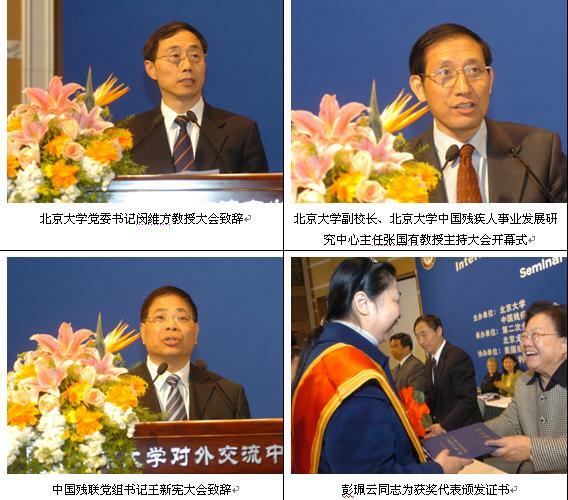 It must also have the consent and support from the people being studied and served. Emphasizing the importance of international cooperation in disability work, from the examples and experiences of many countries discussed in the Forum on the improvement of the lives of people with disabilities, international cooperation should be further developed and strengthened on the basis of the Convention on the Rights of Persons with Disabilities. The Convention also points out the importance for countries to collect appropriate information, including statistical and research data, to enable them to formulate and implement policies to give effect to the present Convention. The period 2005-2010 is the 2010 Round Population Census Decade as proclaimed by the United Nations and most countries in the world will take a population census in around 2010. This is an excellent opportunity for countries to select a sample frame for their disability surveys from the population censuses and to collect appropriate disability information and data, such as the 2006 Chinese survey of the people with disabilities. The Convention was adopted a year ago and 118 countries have endorsed with signatures. Delegates from the International Forum shall urge their own countries to sign and ratify the Convention so it may enter into force at an early date.